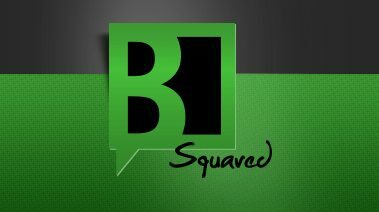 Based in Stanton, New Jersey, B Squared Media is a rapidly growing done-for-you social media marketing and advertising company. Founded by Brooke Sellas in 2012, today the team of 13 helps companies modernize the ways they interact with their current and prospective clients by managing social media and advertising on their behalf. From the start, Sellas wanted a sales CRM system to help her understand her pipeline and for forecasting. She tried a number of CRMs, but they were either too robust and expensive, or they were too small and didn’t meet her needs. 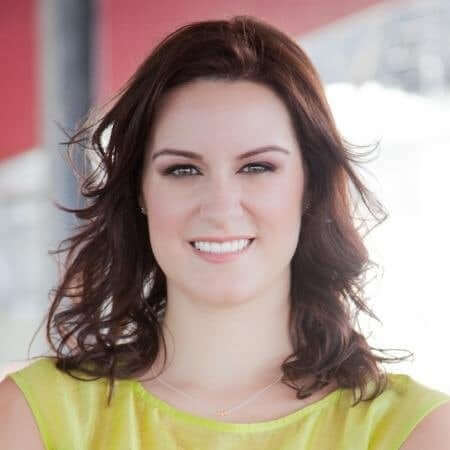 Brooke tried Hubspot’s free CRM but found she would need to upgrade to a costly marketing automation system to access some of the CRM basics she needed, such as visibility into her pipeline, robust reporting, forecasting, and messaging. She also looked at Infusionsoft, but found it to be too costly and lacking in functionality. Then, she tried Zoho CRM but their customer service was inadequate and the system didn’t match her requirements. Brooke heard about Nimble through the online social media community. Based on positive user reviews, she decided to give it a try. She immediately fell in love with Nimble for its robust features and functionality as well as its deep integration with (and easy accessibility from) Office 365. Because Nimble and Office 365 work together effortlessly, Brooke found she was able to replace the software tools they were using at the time, including Dropbox, Gmail, and Zoho CRM. The streamlined stack also makes it ideal for onboarding new employees. With this seamless approach, all of B Squared Media’s information is stored in one central location, simplifying their processes and operations. 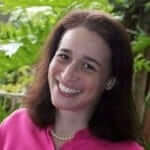 “The Nimble and Office 365 pairing saves us time and money, which is very important to me. We are a fast-growing small business, and a lean startup, so anything I can do to save the time wasted on inputting data and focus more on selling is a big win for the company,” explains Brooke. Nimble meets B Squared Media’s needs perfectly and helps Brooke better manage her pipeline and sales outreach. Using the Nimble Smart Contacts app, Brooke can easily upload inbound email inquiries for consultations to Nimble, and add prospects she encounters on social media in order to quickly qualify and build a channel of communications with that person and company. Brooke can also add a live profile quickly and seamlessly into Nimble, allowing her to connect with customers in a meaningful way by tapping into social signals. One of Brooke’s favorite Nimble features is the business card scanner, which saves her time when uploading new contacts. Brooke relies on Nimble to organize all of her sales follow up. Nimble unifies her call notes and lead interactions in one, socially enriched location, giving her the ability to forecast her pipeline and better understand where she is in relation to her goals for the year, quarter or month. Based on the forecasting and reports she gets out of Nimble, Brooke can easily identify where she needs to focus her energy. If the pipeline is full, she can spend more time on operations. If the activity is light, she knows how much she needs to ramp up her sales efforts and start developing new business opportunities. Brooke’s maintaining an impressive 40-60 percent close rate as she scales the business, without having to add salespeople. When she does decide to hire, she’ll already have the processes in place in Nimble. It will simply be a matter of adding a new user, customizing pipelines for them and teaching them the process, which is a big relief for her small team. “Nimble helps me stay organized, and I rely on Nimble to help me keep my close rate in the higher range. I’ve researched the company before I jump on the call, and I know exactly how many times I’ve followed up and exactly what I’ve sent to the prospective client, so it is really easy to sound organized and put together, because I actually am, thanks to Nimble,” says Brooke. As B Squared Media continues to grow and their strategy evolves, they plan to test Nimble’s group messaging to announce their new Facebook and Twitter chatbot service to existing customers. “When you have tools like Nimble that can support you, and save you time, energy and money, it only makes it that much more possible to get where you need to go and run your business successfully,” concludes Brooke.